Never has there been spiritual reading as powerful as What Jesus Saw from the Cross, the book that will intensify your love of Jesus by burning the events of His Passion into your memory and imagination. Written early in this century by Rev. A. G. Sertillanges, a priest who lived in Jerusalem, this acclaimed devotional classic gives you vivid and dramatic details not included in the Gospel: With Jesus, you'll be jostled by crowds as you enter Jerusalem, choke on the dust of the narrow streets, experience the exotic oriental smells of the city at festival time, share the Last Supper with the disciples, stare into the face of Jesus' accusers, and be there as He dies on the Cross. Try it yourself: read just one chapter slowly and prayerfully. 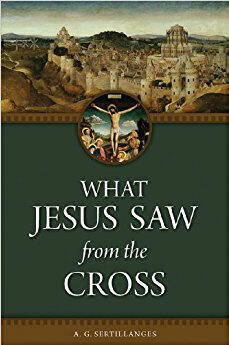 The vivid details and the gripping narrative will soon take over: you'll find yourself engaged in a moving personal retreat, a stunning inner pilgrimage, and an unforgettable encounter with Jesus' tender love for you as He freely gave His life for you on the Cross. 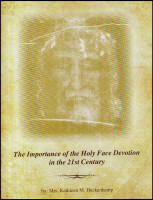 The Importance of the Holy Face Devotion in the 21st Century - Mrs. Kathleen M. Heckenkamp Stories and Miracles of Our Lady of Good Success - Marian Therese Horvat, Ph.D.
Our Lady of Good Success - Prophecies for Our TImes - Marian Therese Horvat, Ph.D.
© 2013 SPIRITDAILY.COM. Built with Volusion.